Two weeks and counting until the 137th Australian Sheep and Wool Show in Bendigo! 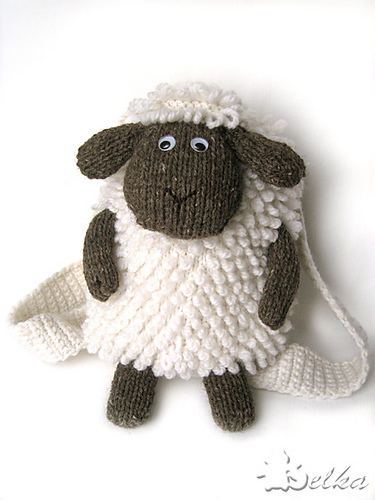 This week I did a free pattern search on ‘Sheep’. Wow, there are a lot of sheep related patterns, especially toy sheep. I’ve decided to pick out a knitted sheep backpack, and a crocheted sheep hat. I wonder if I have time to make them before the Show?! PS: If you’re wondering where to find us this year, we will be part of the Ewe Beaut Co-op, situated in the McKinnon building (the same location as last year). On this map, we are located at 22-23 on the left hand side/western corner of the Prince of Wales Showgrounds in Bendigo. This cute Sheep Backpack by Tatyana Fedorova caught my eye. Knit using 12ply/bulky weight yarn and 3.5mm needles, you could easily adjust for 8ply/DK yarn. Just make sure that your tension is a little tighter than you would use for garment knitting, or else your stuffing will show through the face/legs! Speaking of stuffing, I see that one knitter has made this into a pillow. Imagine a couch filled with your very own flock of Sheep Pillows! Remember that if you are making this for young children you should use safety eyes, or just embroider the details. 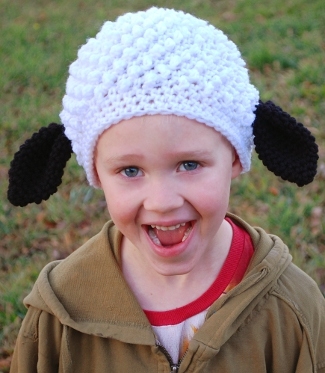 Wouldn’t it be great to see a whole bunch of Baa Baa Sheep Hats at the Sheep and Wool Show? This crocheted hat by Melissa Mall reminds me of the Bunny Rabbit hat we chose at Easter. Using 10/ply worsted weight yarn and a 6.5mm hook, this toddler sized hat is quick and easy to make. Basic instructions are given at create an adult or a baby sized hat in the first paragraph. The instructions are written in US crochet terms; see this conversion table for Australian/UK crochet terms. Now off to dye a few more skeins before the big Show!